For those unfamiliar with this show, DJ/producer Larry Black and singer Gene Hughes of the Casinos (Then You Can Tell Me Goodbye) assembled a number of rock'n'roll, pop and soul stars of the late 50s and early 60s in a TV studio in 1999, got them to reminisce over several days about their experiences and sing one or two of their most famous songs, backed by a versatile and sympathetic band called Sons of the Beach. With the performers given the dignity and context they deserve but don't always receive the results are, at times, deeply moving and never less than thoroughly entertaining and informative. No one who remains a major star participated - you get Mary Wilson, for example, rather than Diana Ross, and Frankie Ford rather than Jerry Lee Lewis - but this is a golden opportunity, nevertheless, to see some performers given what may have been a final chance to shine in optimal surroundings. Singing in front of their peers in an atmosphere charged with warmth rather than competitiveness seems to bring out the best in them: with so many experiences in common, not least the indignities of touring, they "get" each other, if even they only met during the show. 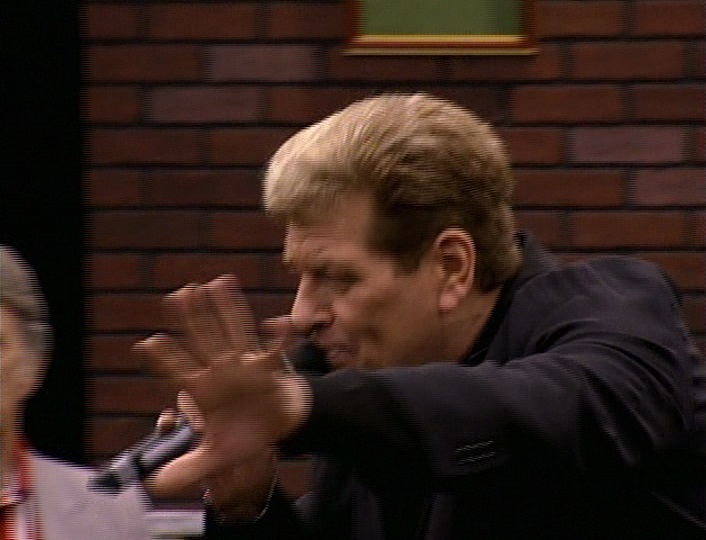 This is something remarked upon by several of them: Len Barry, returned after some unspecified illness or problem, talks of a sense of family, gesturing and adlibbing an extra line in his rendition of One Two Three: "I've grown up loving all of you." So this is much more than your bog standard oldies show; it's a chance to savour and celebrate the achievements of artists who may have been overlooked in the wake of the British invasion - or simply by time - and to hear them tell their stories, share their common sufferings and joys. It's part discussion group, part concert and I can't think of an equivalent in the pop/rock'n'roll field, although Larry Black is behind many similar ventures for country musicians. 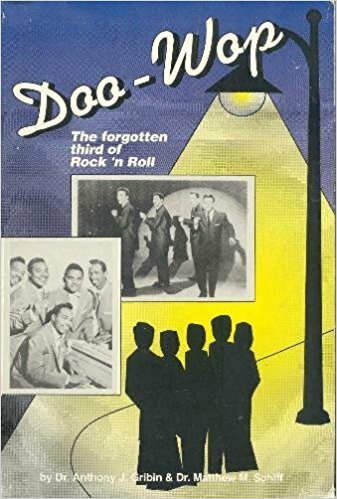 Regarding the obvious affection on display, I suppose there is also an element of what is remarked upon in the book Doo-Wop: The Forgotten Third of Rock'n'Roll. I don't have it to hand, and I know some enthusiasts have raised questions about its general accuracy, but there is one detail worth recalling. In the introduction the authors, child pyschologists in their day jobs, describe the typical reunion of a doo wop group on some nostalgiac radio programme: the familiar gibes resurface but they are now purely affectionate, all sting gone as there is no competition anymore, only a common need to celebrate a shared past whose worth can only now be fully appreciated. 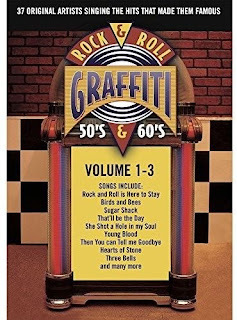 And even if the performers on Rock & Roll Graffiti might tend to be regarded by an uncaring world as footsoldiers rather than generals in the Pop Army, most were still in the business when the show was recorded and all have stories to tell. There are some great performances here: Ketty Lester, who left singing early on (when her son began to bond with the sister who'd been looking after him) sings Love Letters and the effect - on her and those watching, is deeply moving. I don't think I'd have described Simon's voice as "faultless". He's 70 years old now and it isn't what it was ... but that hardly mattered. Its frailties were integrally part of the emotional content of the show. The above is undoubtedly one of the highlights but be assured there are many similar moments. I suppose part of the reason why I find this show so compelling generally is that it confirms what fans of this music have always known: that it's not just the big, lasting names who matter. When a 45 has an effect on you, it stays - and it is not a trivial thing. No siree, as Larry Black might say. "You don't have to ask me - you're Elvis Presley." "Yes I do, because you're Ray Peterson." Peterson also reveals that the writer intended it as a song to his God, not his woman. 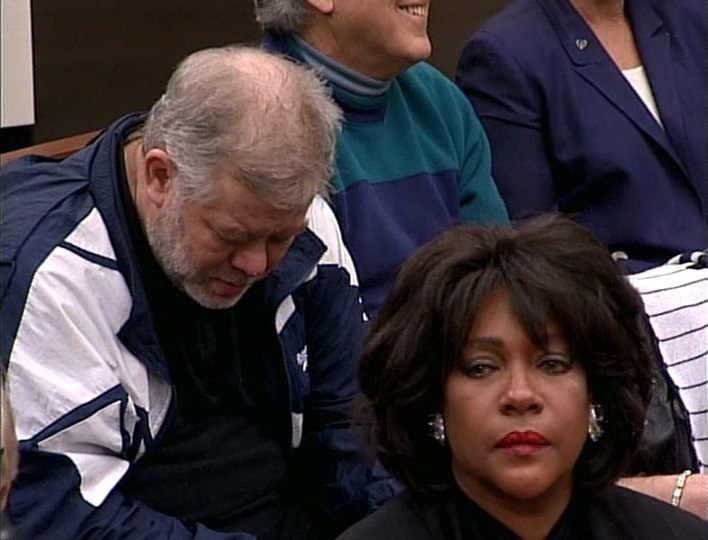 Other highlights include Dee Dee Sharp singing Mashed Potato Time as though it's the most important and vital song in the world - and at one point, entirely without rancour, she says to Gary Paxton, the man behind Monster Mash: "You ripped that off real good." Mention must be made, too, of the joi de vivre of the house band's backing singers, especially Etta Britt, now a solo artist in her own right. So my tip is: investigate the songs available on youtube but be aware that almost none of the discusssion element is present there. For that you will need to buy the DVDs. But if you are the kind of person who chooses to read this sort of blog then I don't think you'll be disappointed. To close, here is a more substantial excerpt on youtube from the part of the show to be seen on Disc 7, commercially available only on the expensive full box set version, as far as I can tell. 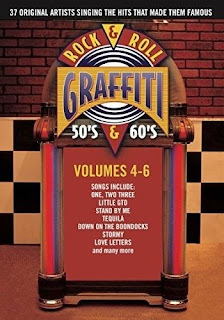 It features some of the discussion common to all discs and includes Frankie Ford doing a great rendition of Sea Cruise. Unlike Love Letters, the houseband and singers are involved, and you can see that there is even a kind of folk club element to proceedings, as most of the other stars sing along to the chorus, and many have mikes.